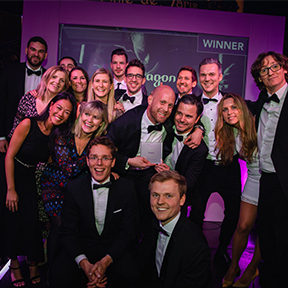 Octagon's Asia Pacific team was honored once again for their bold and creative work on behalf of Dove Men+Care. The #StrengthToCare campaign was awarded GOLD in the category of Best Branded Content Campaign at the Branded Entertainment Awards in Sydney. The campaign featured Wallabies rugby player David Pocock challenging outdated perceptions of masculinity in society and demonstrating that showing care makes you a stronger person.